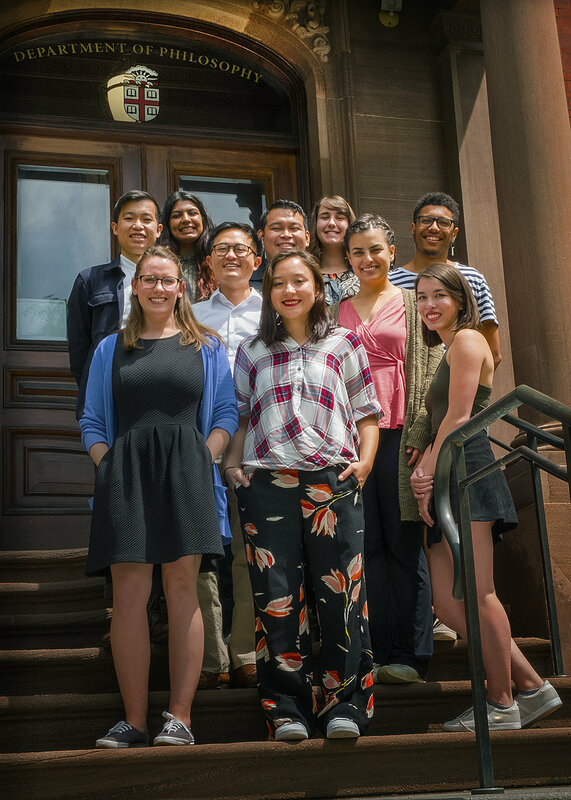 Top row, left to right: Gisela Reyes, Stephanie van Fossen, James McIntyre, Miles Iton, Morgan Flanagan-Folcarelli, Abdul Ansari, Felicia Jing. Botton row, left to right: Cathlene Centeno, Zach Barnett (co-director), Paskalina Bourbon, Nina Emery (co-director), Dave Estlund (Instructor) Not pictured: Risa Takenaka. Top row, left to right: Hien Bui, Dinesh Jaswal, Andrew Hahm, Garry Soronio, Gillian Gray, Meryem Keskin, Nicholas Whittaker. Bottom row, left to right: Katrinia Van Dyke, Tez Clark, Elisa Reverman. Top row, left to right: Michaela Garneau, Earvin Chavez, Mahmoud Jalloh, Crystal Hernandez, Anna Bates. Bottom row, left to right: Jean Amaya, Lucy Petroucheva, Aurora Llamas, Ariana Peruzzi. Top row, left to right: Darian Bolen, Madeline Aruffo, Katie Owens, Sam Gerleman, Kristen Beard. Bottom row, left to right: Mariah Levy, Kirsi Teppo, Mallory Webber, Eliana Peck, Sayid Bnefsi.